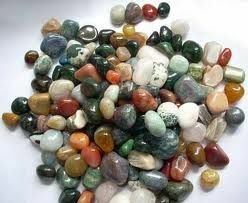 Quartz Pebbles are small stones that are widely used for decorating fountains and garden pathways. Quartz Pebbles that we offer are acknowledged for features like low maintenance cost, light weight and fire & water proof nature. We provide Quartz Pebbles in different types like 25mm, 25-50mm, 50-75mm and above. Our Quartz Pebbles are sorted out manually and are available in various colors, shapes and textures. Packing Available : In 25 & 50 Kg HDPE Bags or as per customer requirements.